College students across the country are gearing up to head back to campus. While some hit the books mid- to late-August, others have an entire extra month of summer before they start class in late September. 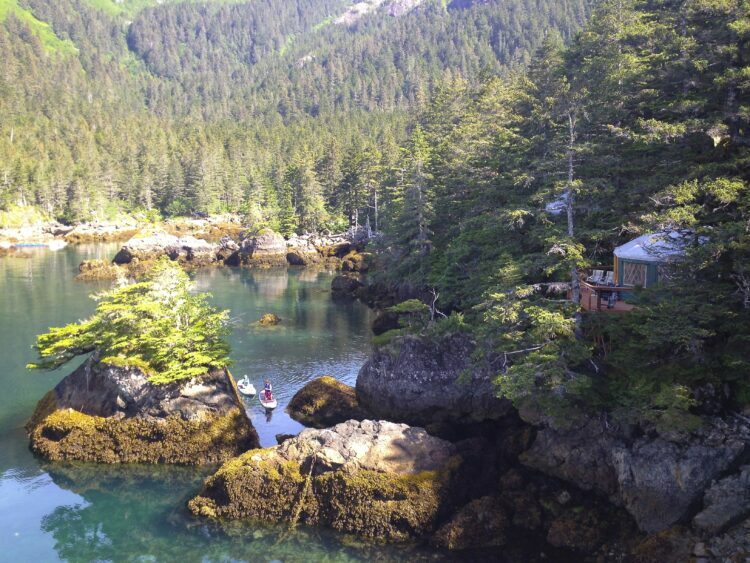 With a few extra weeks in Alaska, why not take your college-bound kid on an unforgettable trip to Orca Island Cabins before they leave home until the holidays? You’ll get great quality time, and an unforgettable adventure – plus, undoubted extra cool points for taking them on a unique getaway. Pack some food just like old times, and stay a few days in our yurts. We’ll supply the firewood, kayaks, stand up paddleboards, rowing skiffs, fishing gear and the incredible views of Resurrection Bay. Head off on a hike toward a waterfall trail and take advantage of some uninterrupted time with your soon-to-be student. With limited cell service and maximum scenery, this is the perfect way to catch your kid undistracted by texting and social media before your only communication with them is via the phone for the next few months. Whether you’re exploring the peaceful coves together on kayaks or having deep life conversations by the fire, we promise this trip will be one you wont soon forget! Even better? Book any trip through the rest of our 2018 season with the code 25ORCAS and you’ll receive 25 percent off your stay.